Hulu today announced several features that are coming to the web and its mobile apps for iOS and Android to optimize the mobile viewing experience. 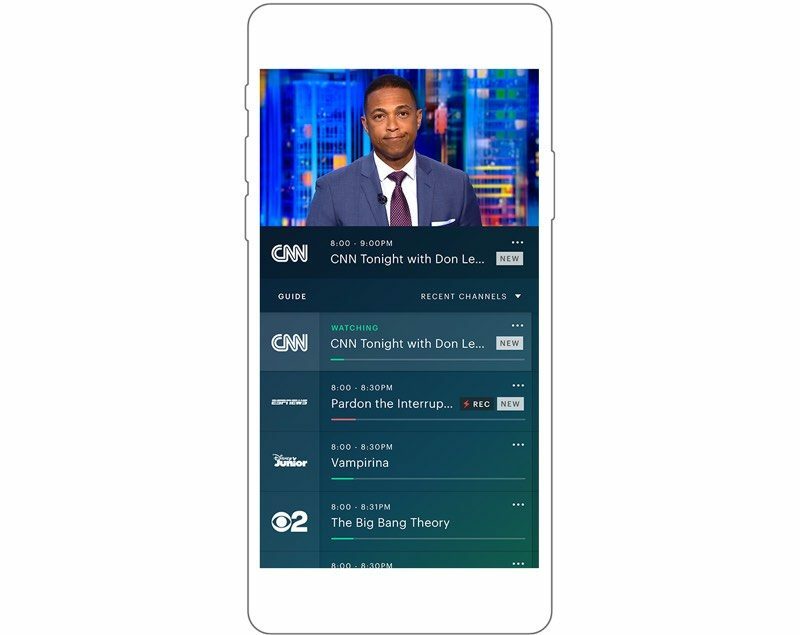 Hulu's Live TV guide, which debuted last week on the Apple TV, Xbox One, Amazon Fire TV, and Nintendo Switch, will be added to mobile devices, allowing users to get to live TV with fewer clicks, see what's on, and see what's coming up. On iOS and Android devices, a portrait player will let users see what's on and switch between channels without having to browse in landscape mode. Rotating the phone horizontally will then launch into full screen mode. When watching on-demand content, Hulu will offer up recommendations on what to watch next when the phone is rotated into portrait mode. 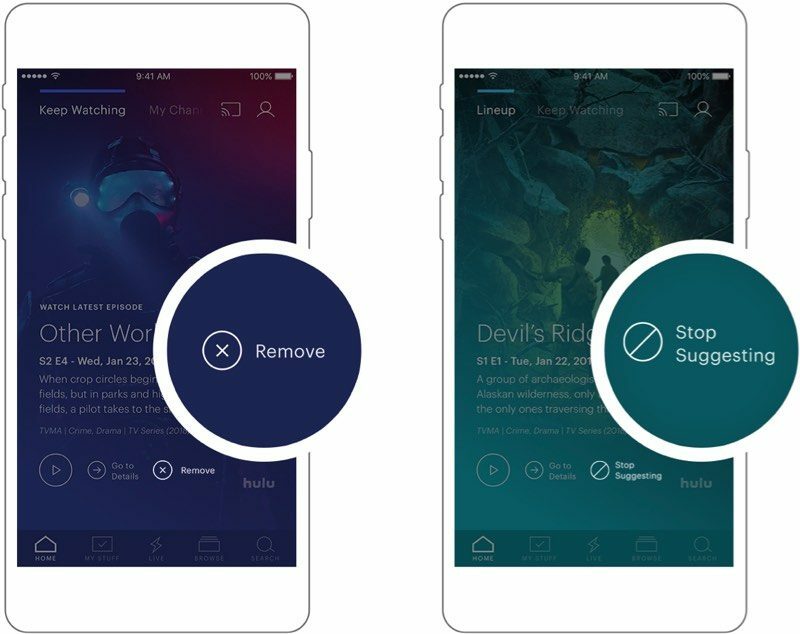 For Watch History, Hulu is adding "Stop Suggesting" and "Remove" toggles to allow users to better tailor their recommendations to their tastes. Hulu also plans to enhance scrubbing and frame previews, so it's easier to navigate through shows and movies to find a specific scene, rewatch content, or skip ahead. HDMI support is being added to iOS to allow an iPhone to be connected to a TV with a Lightning to HDMI adapter, and on the web, live TV subscribers will have access to the new Hulu experience for web. All of these features will begin rolling out to Hulu users starting next week. OMG, finally. They keep listing shows that I despise on the front page - I'm never gonna watch them, Hulu, no matter how much you push.